Rose Kotwas, after a long career teaching art and design at Lincoln High School, has returned to creating her own works of art in the form of jewelry. She earned a BFA and MA in art at the University of Illinois, Champaign/Urbana “back in the day” and continues to follow design trends today. All of her pieces are made from sterling silver or copper with textures and patterns hammered into the surface by hand. The resulting subtle, surprising design elements make each piece unique. The cuffs can be worn alone or in stacks. They are whimsical and light, feeling comfortable on the wrist. Each can be gently squeezed or stretched to fit. The cuffs work well with other metal cuffs or beaded bracelets. The earrings and necklaces result from mixing unlike elements, creating unique combinations of textures, shapes, and colors. 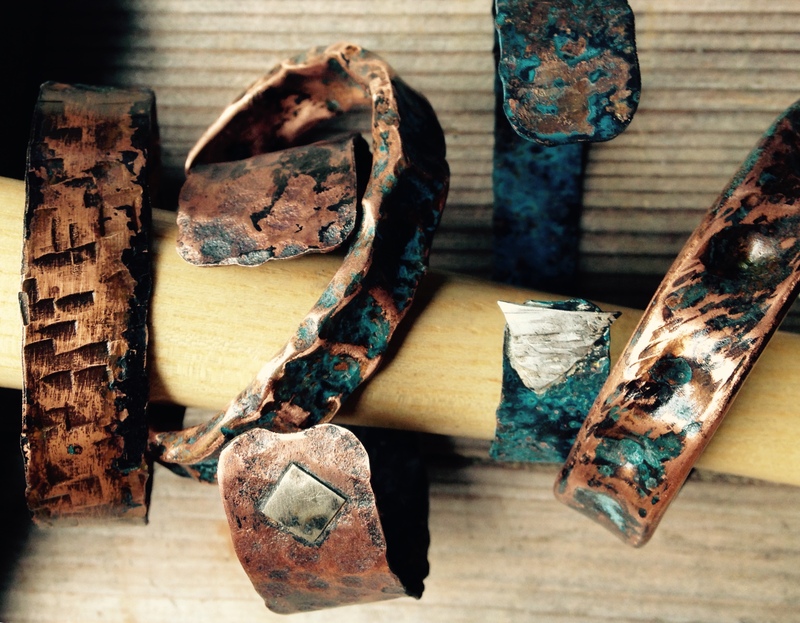 Silver and copper are organic and lively. Wear them well!